Last night I crawled into my own bed after a long flight home. That felt good. I even managed to sleep until 5:30 this morning even though my body insists it is a lot later in the morning than that. I’m sitting with my regular copy of coffee and the silence of a house where I’m the only one awake. I’m glad to be back. 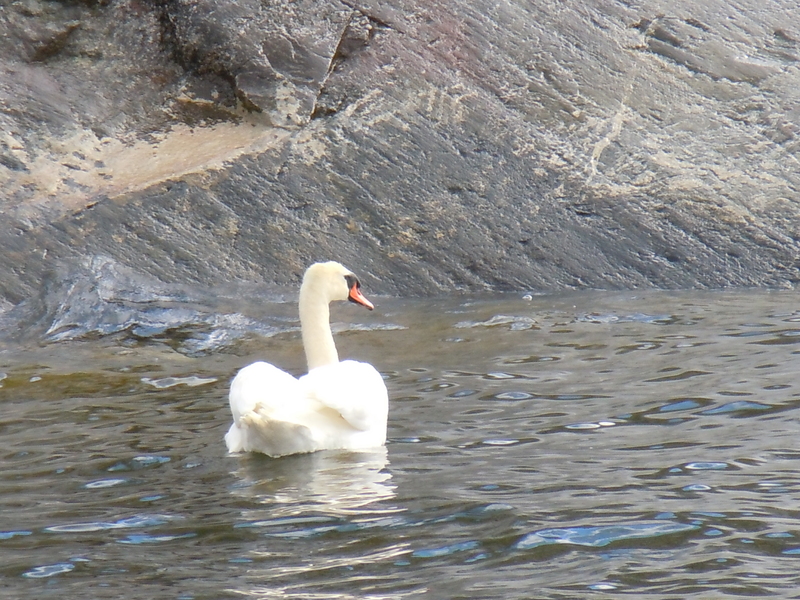 The last few days in Stockholm continued to unfold with a kind and gentle grace. The weather was terrible. This has been the coldest, wettest June on record in Sweden. On Monday, between rain and a mean wind, the temperature with wind chill was 38 degrees F. Even though that was disappointing, it also made the trip feel more real and connected to life as it is and not as we wish it were. My dad and I sat and read in the hotel, we talked and I made little forays out to explore and do a bit of shopping. Even in the rain, Stockholm is a beautiful city. On Monday evening, we went on the final really big adventure of our trip—we got on a ferry that goes out into the Stockholm archipelago. The archipelago has over 10,000 islands; this ferry carries people to and from their summer homes scattered on the larger islands. You can buy a round-trip ticket and the ferry has a nice restaurant. There’s something especially lovely and exciting about dining in a formal restaurant on board ship, what with the crisp white napkins folded just so and the old and gracious silver, china and crystal. The round trip takes 4 ½ hours and with the long summer twilight, we had a beautiful view. When we came on board at 5:00 PM, it was still raining and grey but about 1 ½ later, the sun started breaking through making everything look magical. Everywhere I looked, my eyes were happy. There was no speed involved in this part of the journey and there’s something about sitting looking out as you slip through the water that invites story telling. 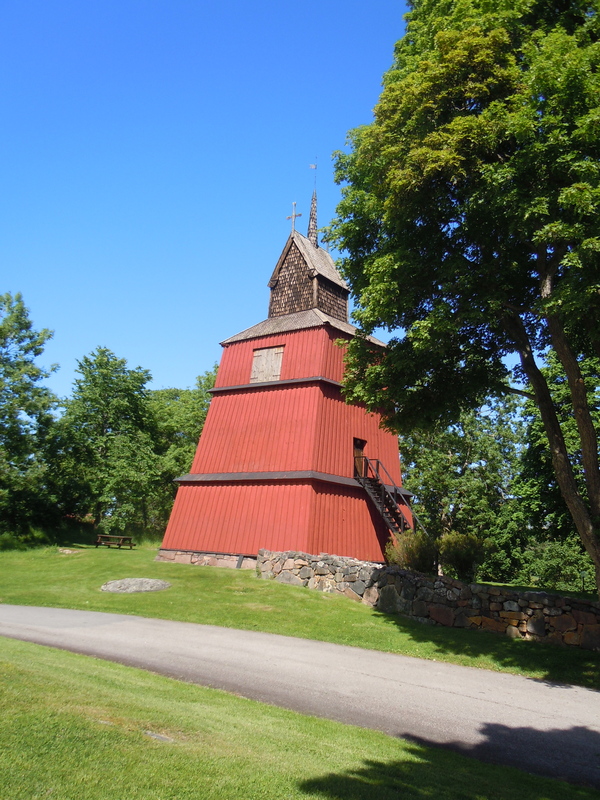 It turns out that one of the happiest times ever in my father’s life took place in 1937, when his parents brought him from Colombia to spend a summer in a cottage they rented in Skärgården, as the archipelago is called. 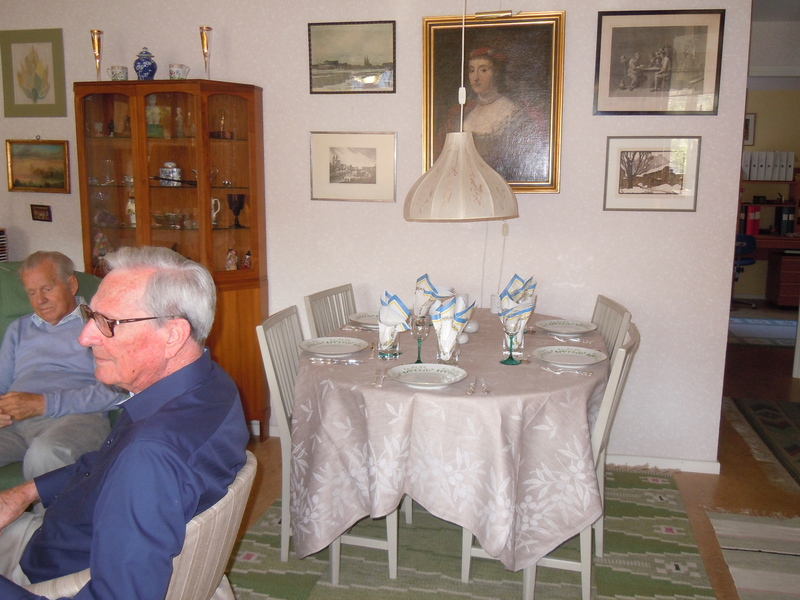 Starting from that summer, he went on to tell me about the next 5 years in his life, as WWII loomed ahead, he was sent to Sweden alone and then in 1941, when he was 13, came home to lunch on Tuesday, February 3rd. The people he was living with, Tant Jennie and Farbor Oscar (Uncle and Aunt in Love, if you will), were waiting for him and handed him a cable. The cable advised that his mother had died in the very early hours that day in Colombia. I don’t think my dad has told many people that story and it was as raw and painful for him on Monday evening as it had been 72 years ago. We ran into a whole lot of complications trying to do the genealogy research about my grandmother Rosa and finally gave up for now. But it was so much more important and meaningful to sit with this man who is now 85 years old and whom I am only now really getting to know. Again, I was reminded how the holy is ordinary and the ordinary holy, if we will accept, as W.H. Auden insists, that “Time is our choice of How to love and Why”. We spent Tuesday first with Maj, our dear friend whom we’d seen earlier in Norttälje at lunch and then packing. In the evening, we went out to dinner with a couple, Mona and Frederick, who lived in Colombia for several years in the 70’s, when Frederick was an executive with the Colombian subsidiary of L.M. Ericsson. I got to hear about their children who were beautiful babies when they lived in Colombia and now have impressive lives as adults in Sweden and the USA. We told old stories about Cali in Swedish, talked about my godfather who is a legendary figure both in Colombia and in Sweden because of his work in ornithology, about the very spirited gatherings my parents used to host in those years. It gave us another way to celebrate my mom, remembering her unforgettable parties. In a moment of truly poetic goodness, the strands of life in Colombia, Sweden and the USA all wove together again in a way I could neither have anticipated nor prepared for. And then, way too early in the morning yesterday, I was saying good bye to my dad and taking the high speed train to Arlanda Airport to begin the long journey home. 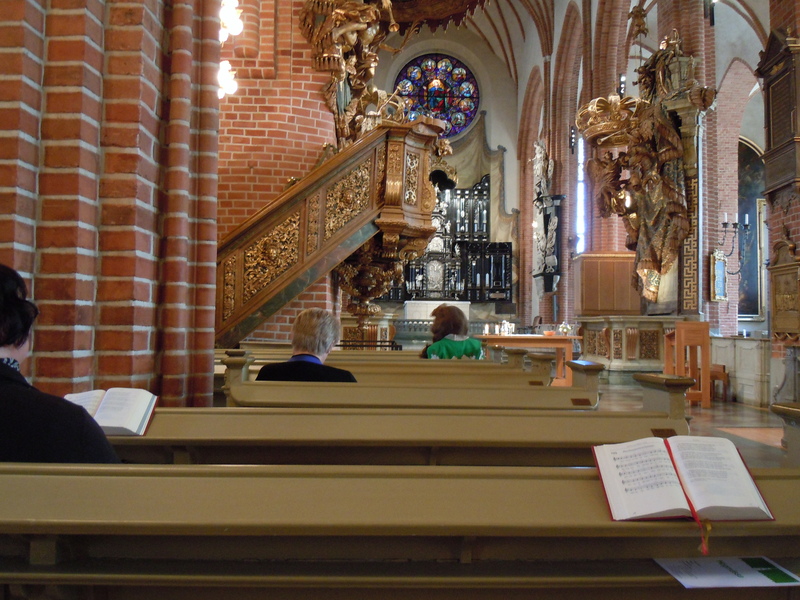 This morning we went to church at Stor Kyrka, the church the King and Queen of Sweden attend (very occasionally) in Gamla Stan. 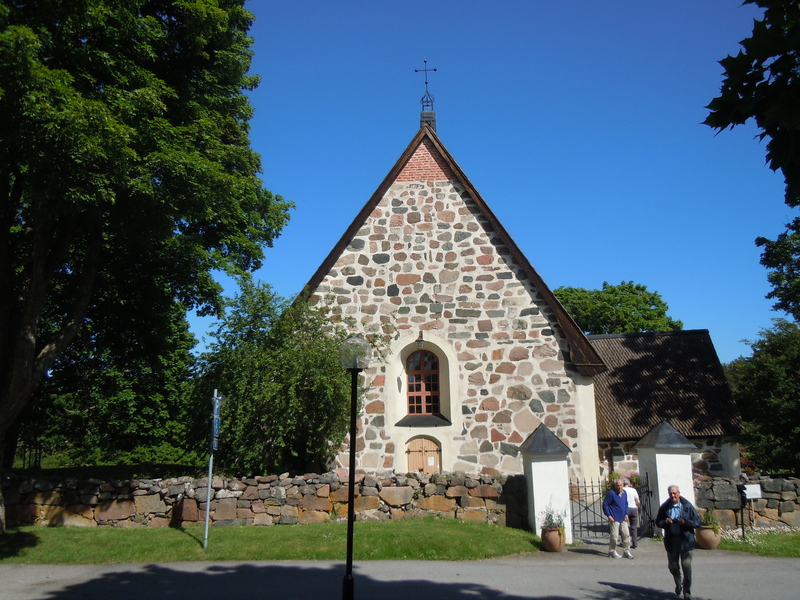 We have found out that my grandmother Rosa was baptized in a church called St Johannes Kyrka, also close to our hotel, but though the church still stands, it no longer serves as a parish and the building is rented out to a Polish Catholic faith community. 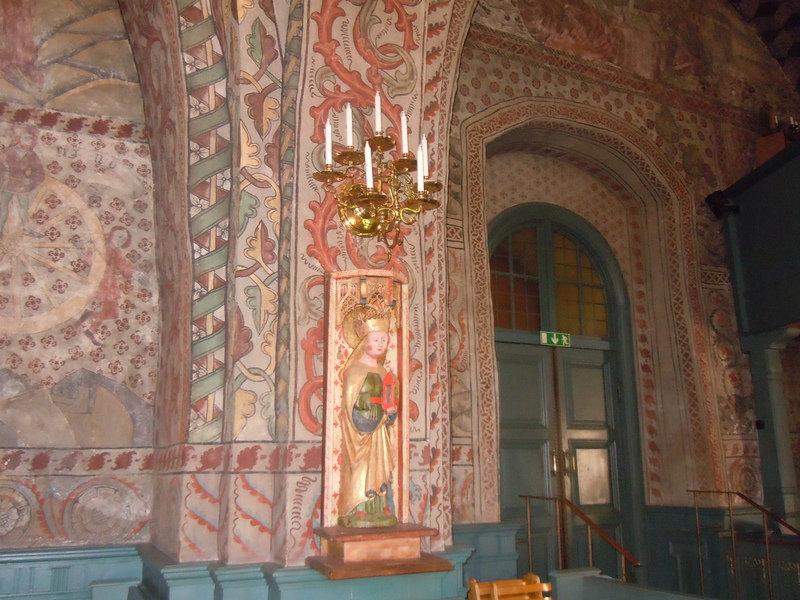 We walked from our hotel, a shiny modern building in a fairly modern part of town, across a cobblestone bridge that dates back to the 12th century, into Gamla Stan and up a steep hill to Stor Kyrka. After about 15 minutes, at a little before 11:00 AM, the priest who was celebrating this morning came out and said a few introductory words and then invited us to sit in silence and listen to the bells. It was real bells, bells that have been rung for hundreds of years. I’ve been in other places where bells rang to announce the beginning of a service, but somehow today, I heard them differently. Eucharist means celebration and today, the connection between joy and celebration ran deep for me. It felt like those bells were pealing forth with jubilation. 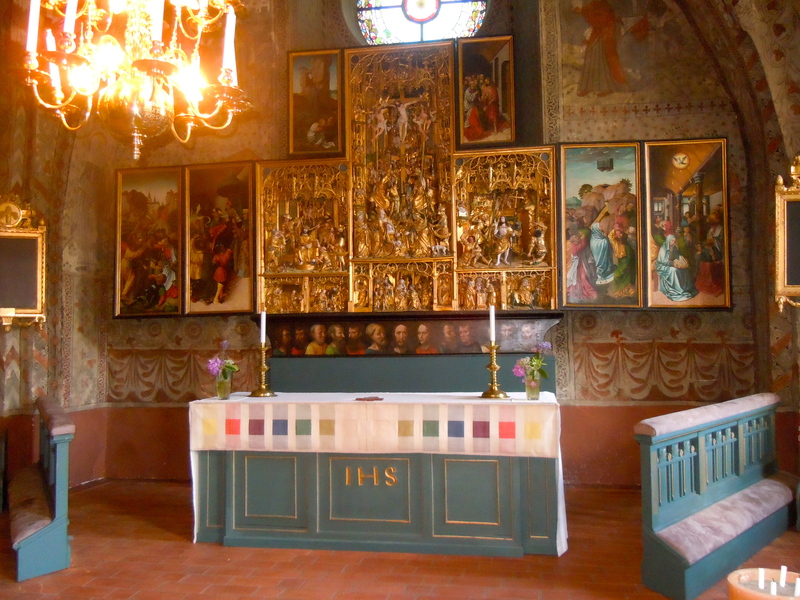 I sometimes feel like I’ve become the biggest cry-baby on Earth because I couldn’t stop weeping during the Högmässa—the Lutheran High Mass. I’ve never been to a service in Swedish before and again, the gratitude. You can hear the opening hymn here—a piece of music I have heard and sung since I was a child, one that Mom just loved, but that I didn’t even know was a hymn sung in church. I should have known-it is a celebration of summer, not for summer’s sake alone but for what it reveals about God’s love. But in an agnostic family, what made my parents so happy was describing the wonder of summer after a long winter. 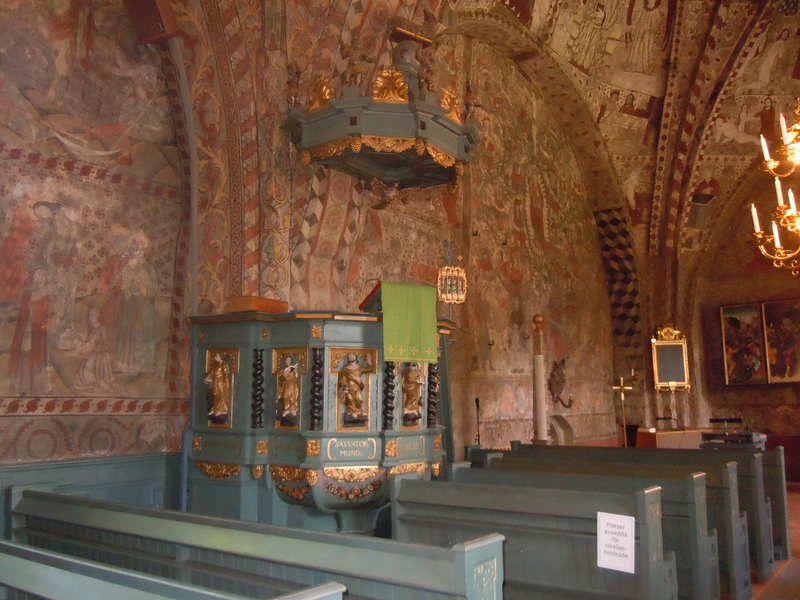 I said the creed, I sang the Gloria, the Sanctus, the Agnus Dei in Swedish—my eyes able to read the words, my mouth able to shape itself into sounds that I have heard since before I was born but had never used to speak to God. 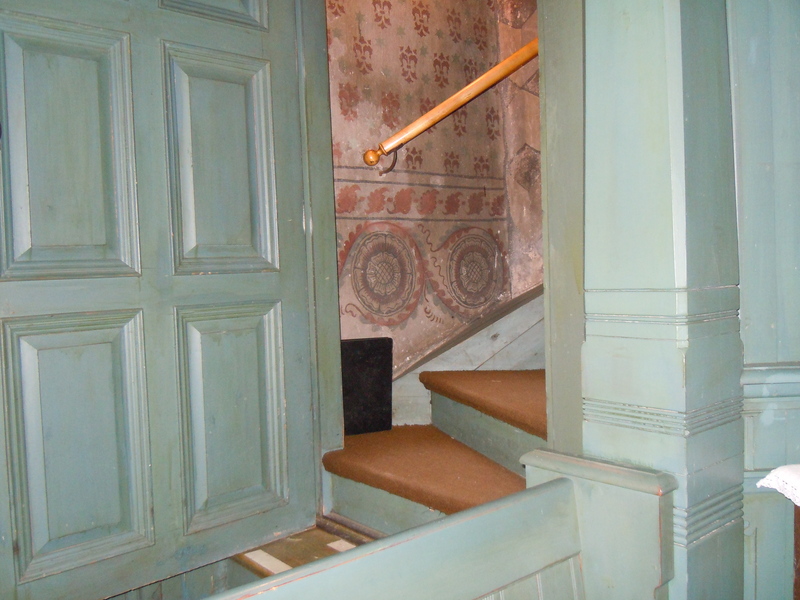 Everything was so known and well-worn from use over and over again, every Sunday in English and Spanish, and now so new for being in Swedish. Perhaps even more meaningful for me, it was one of those loose strands I talked about a couple of days ago, woven into the part of my life that has been most separate from my family of origin. 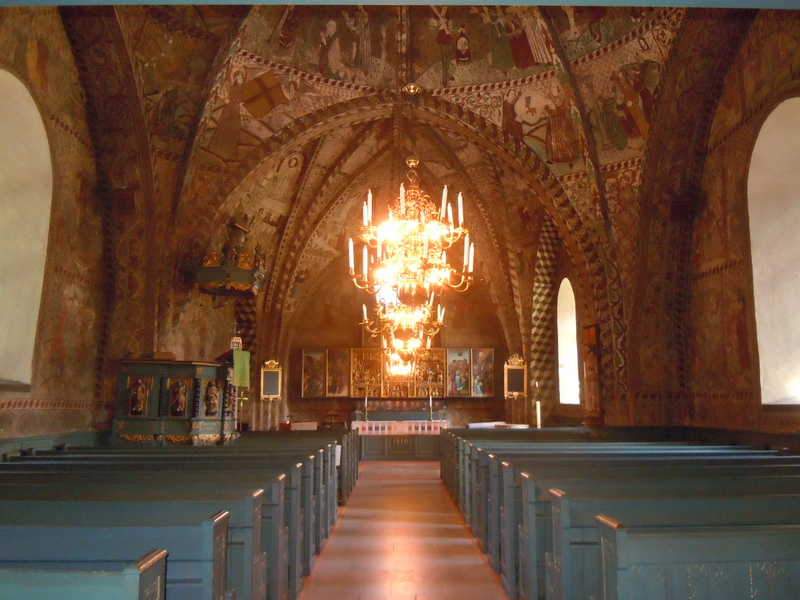 My dad and I sat in a pew together, we wept together as we sang Nu Blomstertidan Kommen. 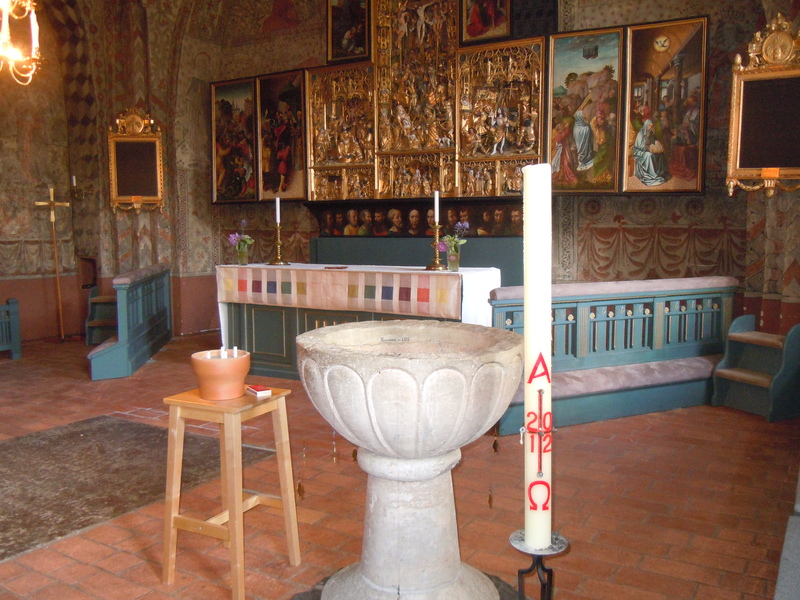 Perhaps most movingly, our voices blended as we started saying, “Vår Far...”—we prayed the Our Father together, in Swedish, in church, on a Sunday morning. Another of those time-gifts I struggle to fathom in all it’s complexity, paradox and beauty. The many strands of my life make particular sense with my dad. A few times as we walked down the street in Stockholm and in Uppsala, people have given us puzzled looks and we finally figured out it’s because we mix our three languages together (Swespanglish?) as we talk. My brother Hans is fluent in Spanish, English, Dutch, German and French. My brother Nils in French, Spanish and English. I am the only one who learned Swedish and when my father is gone, I will lose the richness of this particular kind of conversation. I don’t dwell on the loss; rather, I am mindful of what amazing moments these are right now. After this morning, my father is also the only one in my family who has been with me in worship in all three languages. On a cosmic scale, this is all so insignificant. For my heart, it is another miracle of intersection and completion. And there is one more dimension to that miracle—which I started to describe as small but didn’t because that would be too much of a misnomer—there is no such thing as a “small” miracle. When I reached out my hands to receive communion and heard the priest say “Kristi kropp, bröd från himmelen” I offered more of myself than I had ever been able to before. Perhaps I also know God more fully now than I ever could before. Today is my father’s 85th birthday. Following an old family tradition, I got up at 5:30 and snuck into the bathroom of our hotel room where I had hidden tea roses, a candle, matches, his birthday gift and a Mazarine—a small almond tart that’s typically Swedish. Therewas a little tray in the bathroom that I decoratec with the roses and put the Mazarine in the middle of. Then I lit the candle. The sun was already blazing outside but with the curtains drawn the room was still in enough shadows for the candle light to shine brightly as I sang him the typical Swedish birthday song and brought the tray to his bed. We laughed and wept together—that I had pulled it off, catching him completely by surprise, that this was something my mom loved to do for all of us, that her absence has been a constant presence with us everywhere we’ve gone and all the things we’ve done. After breakfast we walked up to the castle that sits at the top of a hill here in Uppsala, his alma mater’s city. On the way, we stopped at the cathedral. Both yesterday and today, I have gotten to spend time in stunningly beautiful, ancient holy places, and it is here that sadness comes to visit. Maybe it’s because each time I go into one, I light a candle both for my mother and for my girl, Maria. Yesterday on the way to Tre Faldighets kryka (Holy Trinity), I went past a store where I saw an exquisite dress that would have been beautiful for Maria. I started to go in to find out about it and couldn’t—to even consider buying it was to consider a future for her that I simply must not cling to. 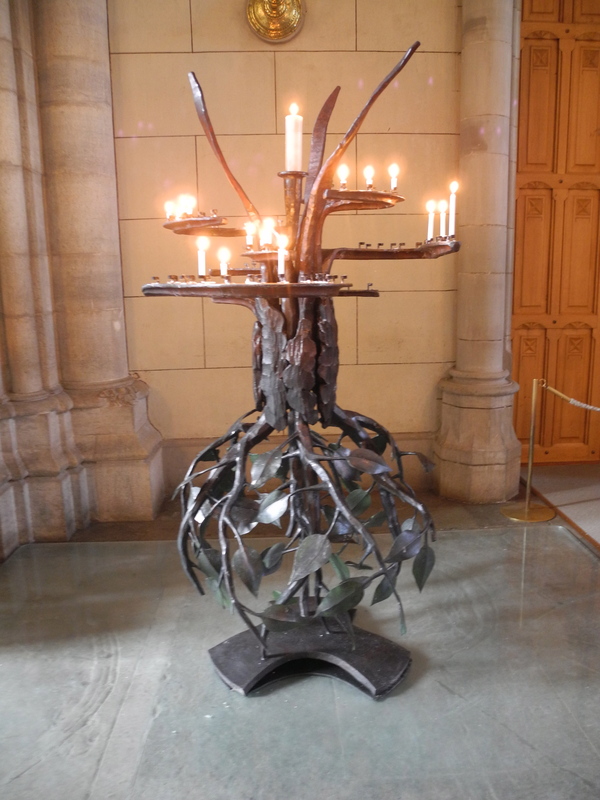 Today, in Domkyrka, I saw a “tree of life sculpture” which is where you place votives. The picture doesn’t do it much justice but it is lovely. There are some small, white Swedish candles that mom always used sparingly when we were growing up—they only came out at Christmas. Those were the candles available to light and place on that “tree of life” so that’s what I lit. My mom would have loved that. As we walked this morning, my dad shared bits and pieces of stories from his days as a student here in Uppsala, the route he’d take from home to the his classes when it had snowed and he’d ski to school, where his first girlfriend lived, the library he did his research in, the bell tower by the castle where everyone went to make out. We agreed that it is so very strange, having strands of our stories in all these different parts of the world. We stop and retake the strands, and use them to weave yet another bit of our life whenever we can and then have to leave them hanging again, sort of forlorn, with no sense that we will ever be able to weave them back into the next part of the story. 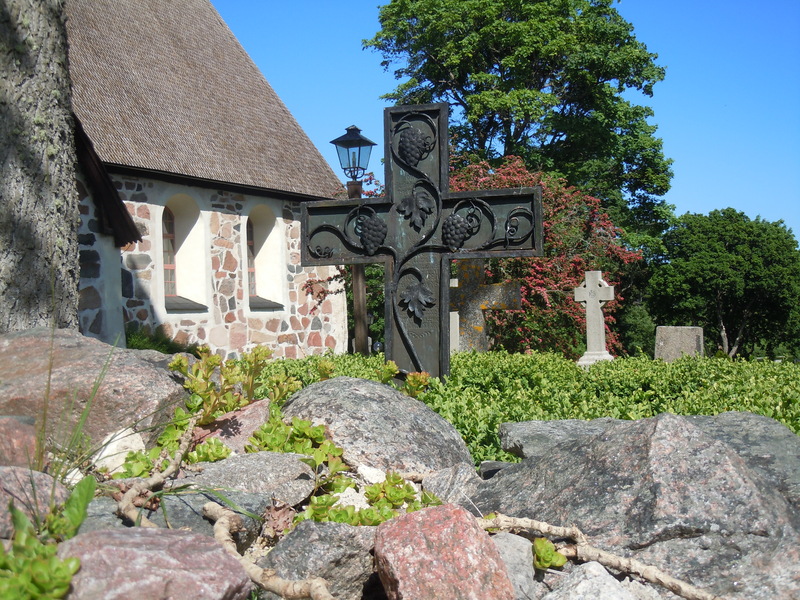 And then this afternoon… It is Midsommarfest today in Sweden—delayed from yesterday and officially celebretated as the longest day of the year. I found a small village outside of Uppsala where they were celebrating with the traditional maypole and dancing and dragged my dad out there. I suspect he’d have preferred a more quiet afternoon, but he was a good sport. 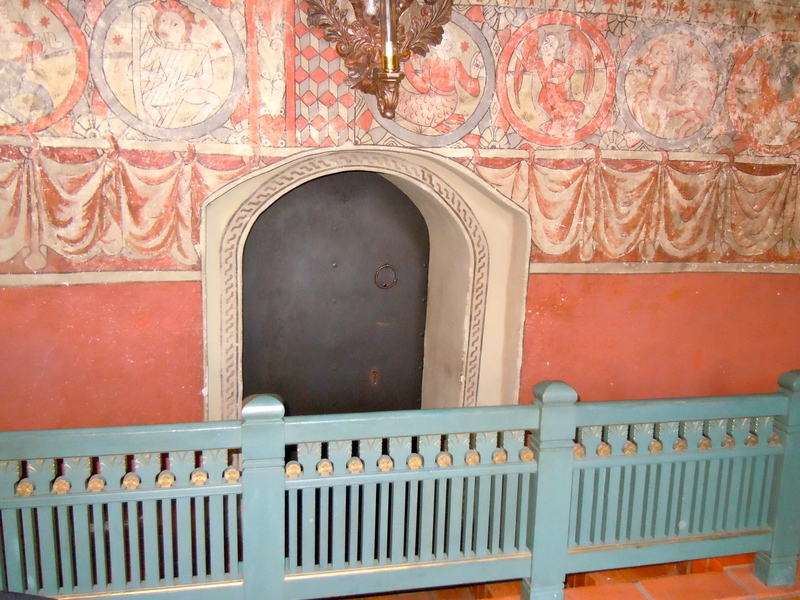 As a little girl I heard about Midsommarfest, I read about it, I saw movies and I sort-of always knew that because of my hip and how infrequently we went to Sweden and how unlikely it was that we’d be here for this particular holiday, I’d never get to be part of that celebration. And I was completely wrong. 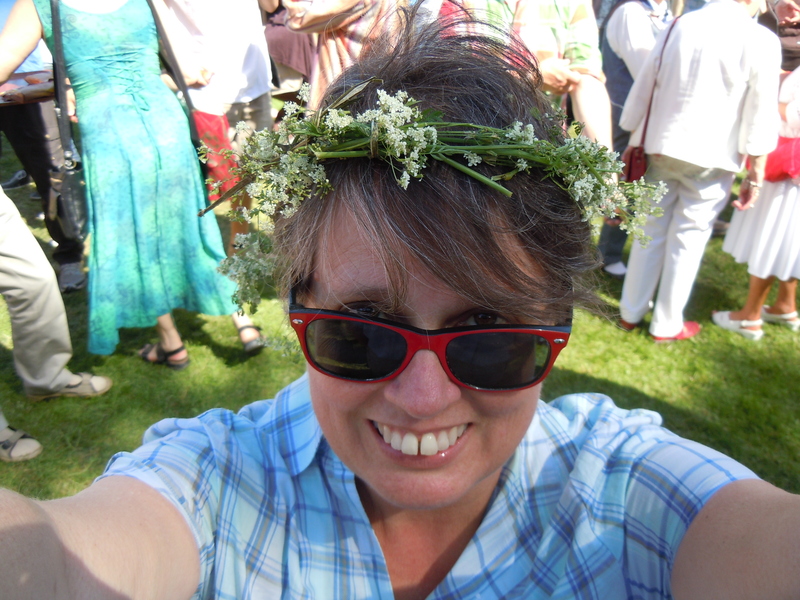 I made a Queen Anne’s lace crown for myself and got to be a part of the dance. It was glorious. Yes, my history is sort of messy and full of loose ends, my present is really complicated and I can’t dream a whole lot of dreams for myself at the moment. But maybe that’s as it should be because that dancing was some of the sweetest time I think I’ve ever received. Gift. Grace. Joy. Our host opened a second bottle of champagne to have with dessert and right after the cork popped out he said, “Ah, that is the sound of a civilized home”. Hans Blix has an amazing sense of humor, dry as gin. He was the nuclear inspector who kept trying to convince the USA that there were no weapons of mass destruction in Iraq. This evening he was also a supremely gracious host to a mini-class reunion that included my dad and 3 other classmates. Even before Hans made that witty comment, I sat and watched an ever-so-familiar evening unfold. My father and I walked to “Hötorget—an open air market in the center of the city—to buy some nice flowers to take to our hosts. When we got to the Blix’s home, I saw how everyone else had brought lovely flowers too. I’d say that’s another mark of ”civilization”: small gestures of appreciation and the discretionary income that allows them. The apartment was not large by American standards and filled with the most stupendous art imaginable—an original Picasso, a series of paintings by a a Swedish-Mexican artist, and the most incredible antique Persian rugs. We sat down to a 4-course meal that began with a mushroom dish Hans had fixed with mushrooms he’d picked himself at his family’s summer cottage. Eva his wife had fixed the main course, Hans made the dessert—a rhubarb pie that was delectable. A young woman from Nicaragua who is getting her PhD in chemistry helped serve the dinner. 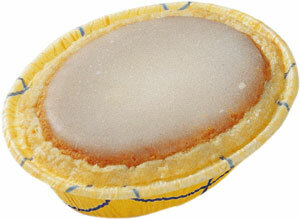 My ”Swedish ear” is working again and I listened to the stories of five remarkable people. Einar is a retired civil engineer who worked on mining and aide projects on behalf of Sweden in Egypt, Tanzania and other countries in Africa. Arne was a doctor with the World Health Organization who served in 94 countries helping to address issues of childhood malnutrition. Hans is currently leading a project to build a ”sarcophagus” over what remains of the Chernobyl nuclear plant. Barbro is a well-known social scientist who has consulted across the world on issues of peace-keeping and reconciliation. One of the lovely traditions of a Sweden that probably hardly exists any longer is the tradition of trying to put words around what matters beyond words when you give a toast. Hans, as the host, was the first. 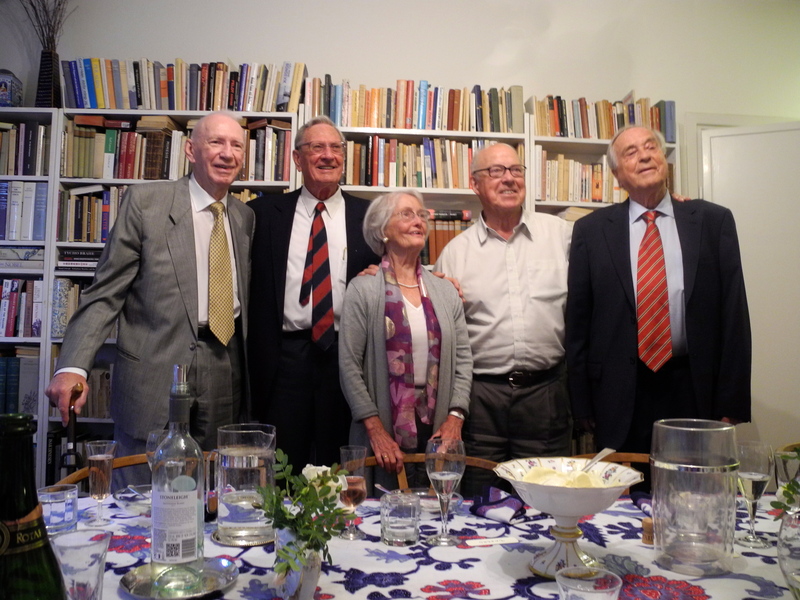 He talked about the class of ’46, the first class to graduate after the war and how they were the first generation of true “internationalists” as represented by the five of them gathered together over the meal. There were toasts that gently ribbed about my dad, whom all the girls used to swoon over. And about the English teacher that would beg him not to come to class because his English was so lovely (and he could quote Shakespeare plays almost in their entirety) that she was ashamed of her own English pronunciation next to his. My dad was class president and it was quite remarkable, watching the deference with which his “klass kamroter” talked about him. I know am a child of privilege and that what might easily be called a “very civilized evening” is really about the spaces privilege opens for this kind of encounter. I hope I don’t just take it for granted. I know that as much as I loved being in what felt old and familiar and comfortable, I was also standing on the edges. I think about the crazy wonderful wedding we just celebrated at St Ambrose, with the mess, and energy threatening to spin into chaos and just remembering fills me with energy. I feel so much more at home there. But I do. I just absolutely love and cherish this part of my heritage and am glad I knew to take flowers, that I knew the etiquette for the toasts and I understood exactly what Hans Blix meant when he said “That’s the sound of a civilized home”. I’m home for a few days.